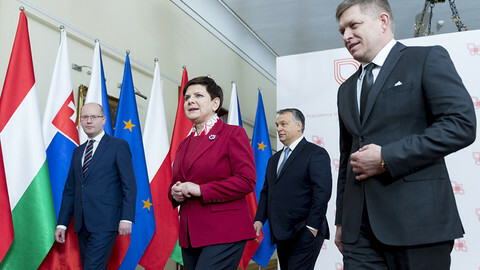 The Visegrad Four (V4), a loose alliance of the Czech Republic, Hungary, Poland and Slovakia grabbed the limelight in 2016 with its vocal and uncompromising resistance against taking in asylum-seekers from overwhelmed frontline EU states. 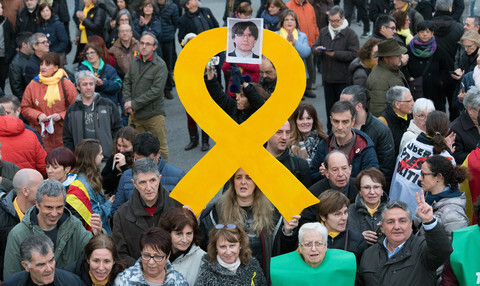 Although the group was established only in 1991, the migration crisis has transformed the V4 into a political factor to be reckoned with at EU level. However, 2017 saw the group's members diverging on how they relate to the EU. 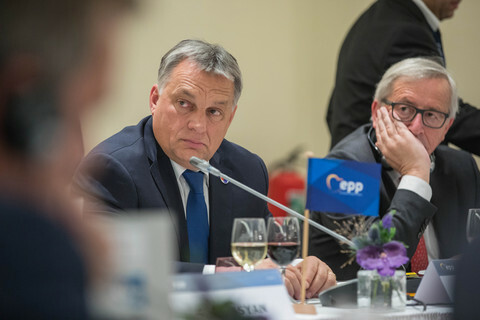 Against the backdrop of the migration crisis, and Poland and Hungary promoting an illiberal form of democracy (with several EU probes launched against them), the V4 has become synonymous with euroscepticism. Meanwhile – frustrated particularly with what is seen as a lack of solidarity by the V4 countries on migration – some in the EU have suggested that it is time for core member states to move ahead with integration and leave reluctant member states behind. Debating how to move the EU forward after Brexit, various scenarios were drawn up before the Rome Summit in March, marking the 60th anniversary of the signing of the Rome treaty. 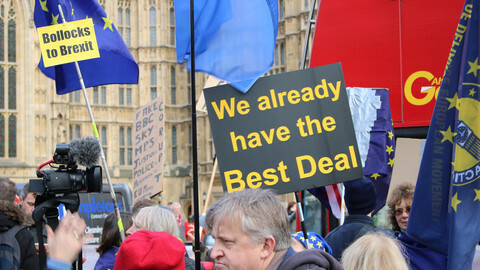 One scenario - a 'multi-speed' Europe - has played into the deep-seated fear of the V4 countries, of being treated as second-class members in the EU, and have vehemently warned that a multi-speed Europe could lead to the disintegration of the EU. References to a multi-speed Europe were eventually watered down in the Rome Declaration, but the idea has not gone away. Newly-elected French president Emmanuel Macron floated it again later in the year, irking the V4 countries. The political divide between eastern and western EU member states has become more palpable. The issue of posted workers, the different quality of some goods distributed in central and eastern European markets, and the reform of the EU's asylum system exposed cracks in V4 solidarity, which, some have argued was not new, just previously hidden. "It is not a fundamental issue, maybe more visible now [than before]," said Konrad Szymanki, Poland's EU affairs minister. However European Commission president Jean-Claude Juncker felt it was important to address these countries in his state of the union speech in September, as he urged eastern member states to join the euro with the help of a new pre-accession assistance fund. Juncker also told other member states to allow Bulgaria and Romania into the Schengen zone, as he attempted to dispel fears that eastern Europeans were second-class EU citizens. 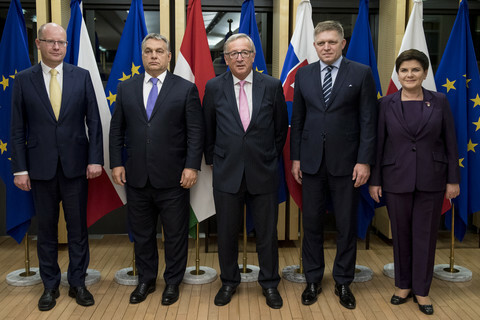 Ahead of the October summit, Juncker hosted the V4 prime ministers for dinner to mend relations between the EU executive and the four countries. 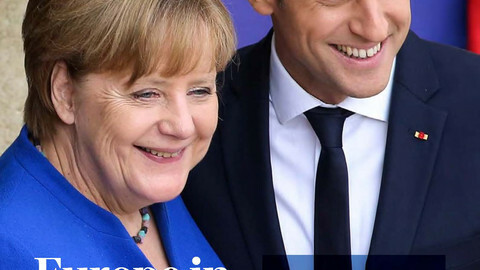 Juncker's strategy has been to lure the V4 closer to the core by reminding them that some – including powerful leaders such as Macron – would not mind leaving others behind as they pursue a speedier integration. When it came to the relationship with the EU core, it has become evident in 2017 that the V4 is not, in fact, a homogenous group. Slovakia, after holding the EU council's presidency for the second half of 2016, toned down its rhetoric on migrants, and accepted around a dozen asylum-seekers. 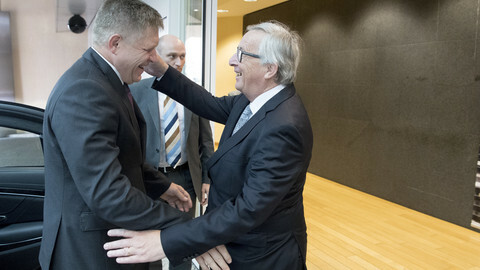 Prime minister Robert Fico stated explicitly in August that Slovakia's place is with the EU core. "The fundamentals of my policy are being close to the [EU] core, close to France, to Germany. I am very much interested in regional cooperation within the Visegrad Four but Slovakia's vital interest is the EU," he said. 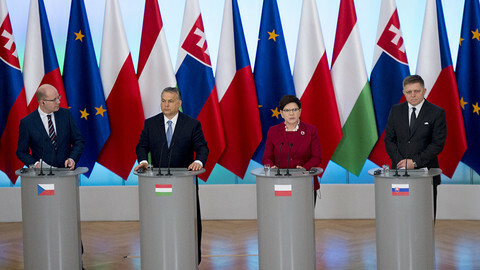 Slovakia is the only eurozone member among the V4. In an interview with Germany's Handelsblatt, Austria's then prime minister Christian Kern shed light on that point, saying the group is now split - with the Czech Republic and Slovakia on one side and Hungary and Poland on the other. Hungary objected, with foreign minister Peter Szijjarto retorting: "We have bad news for them: these attempts will not succeed. The Visegrad Group is the closest and most effective alliance within the European Union and it will remain so, whether the Austrian chancellor likes it or not." However, Poland and Hungary's illiberal leanings (notably over the rule of law and the reluctance to respect common EU decisions) was becoming toxic. Romania denied wanting to join the V4. Bulgaria, which will hold the rotating presidency of the EU council in 2018, wants to join the euro, and highlighted its multicultural historical background - emphasising that its attitude towards migrants is fundamentally more positive than that of the V4. But in a twist of events, the V4 had found new fans of power in various capitals. The election victory of populist Andrej Babis in the Czech Republic raised questions on whether Prague will now follow the lead of Budapest and Warsaw. 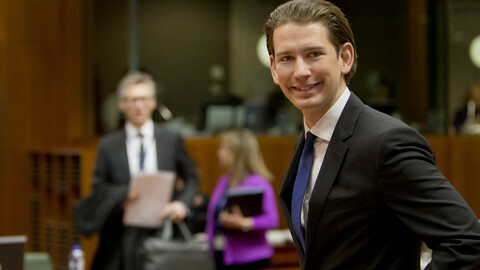 While the victory of conservative leader Sebastian Kurz in Austria meant that the governments in Hungary and Poland had gained an important ally in central Europe, and even suggests the possibility of Austria joining the Visegrad grouping. The V4 works together where there is common understanding. It does not have a seat, or a secretariat, it is a political lobby group of member states. It worked well during the migration crisis to amplify the populist voices coming from Poland and Hungary. The upcoming talks on the seven-year EU budget will give it a chance to work together - but also the threat of being even more divided, based on which country could get the most EU subsidies. The V4's future direction may be both more fragmented and less dramatic. With new leaders Sebastian Kurz and Andrej Babis in the region, the 'Visegrad Group' of the Czech Republic, Slovakia, Hungary and Poland will have to adapt its policies towards the EU or lose influence.